If you were watching election coverage last night, you might have caught the “hologram” appearance of reporter Jessica Yellin. 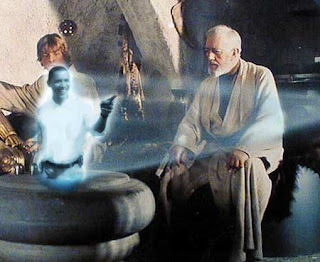 While not actually a true hologram, it was amusing to watch. The anchors were not really speaking to three-dimensional projected images, but rather empty space. The images were simply added in to the images being sent to your home TV, in much the same way computer-generated special effects are added to movies. By definition that makes it a tomogram and not a hologram. A tomogram is an image that is captured from all sides, reconstructed by computers, then displayed on screen. A hologram is an image projected into space, most commonly using coherent light (like a laser). But I guess Wolf Blitzer figured “tomogram” wasn’t as cool as opening up the floor for the star wars references.